Today, we’re going to be taking a look at kitchen knives and helping you to build your perfect kitchen knife collection. Let’s do this! First off, you’ll want to decide whether you want to build your kitchen collection one at a time, or as a block set. Block sets can get you a lower price per blade, but the advantage of doing things piecemeal is that you can get the exact assortment of knives that suits your hands and your cooking style. There are a ton of different blade types and options to choose from, but to keep things simple, we’re going to focus on some of the more common types you’ll want to look at. We’ll be picking and choosing knives from a variety of different brands and series to show you what it would be like to customize your own knife set. If you like the style of any of these knives and would prefer all your kitchen knives to match, all of these knives are available in block sets at the Knife Center, as well. The first knife you’ll want to consider will be the centerpiece of your culinary blade kit, the workhorse that is going to get the bulk of your work done. 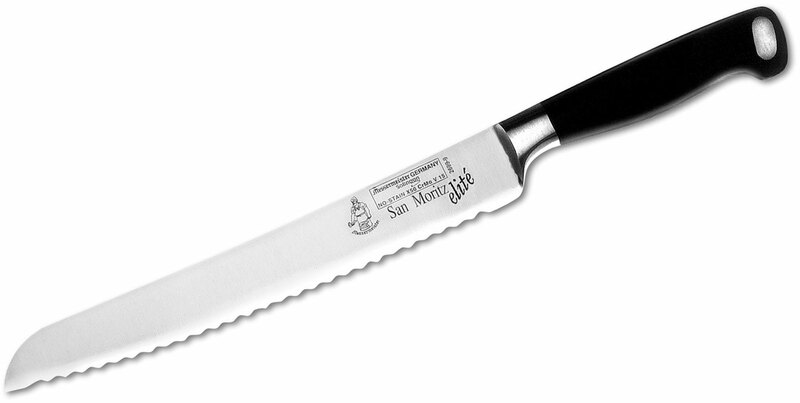 A popular option is the German-style Chef knife. From cutting meat to slicing veggies, there isn’t much you can’t do with a good chef knife at your side. 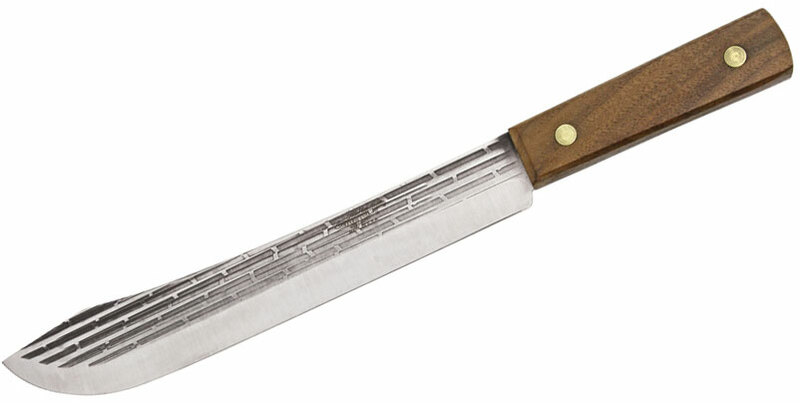 A popular alternative to the traditional Chef knife is the Eastern-inspired Santoku. Typically a little shorter than the German Chef knives, the sheepsfoot blade is designed for versatility. Generally speaking, while both styles are almost interchangeable, German-style Chef knives tend to be better optimized at rocking motions and slicing meat. The Santoku will usually be nicer when it comes push cuts and chopping vegetables. No matter which you choose, you’ll probably want something with a blade in the 7-8 inch range. This is large enough to tackle most jobs you’ll need in a home kitchen but is still agile and easy to use. 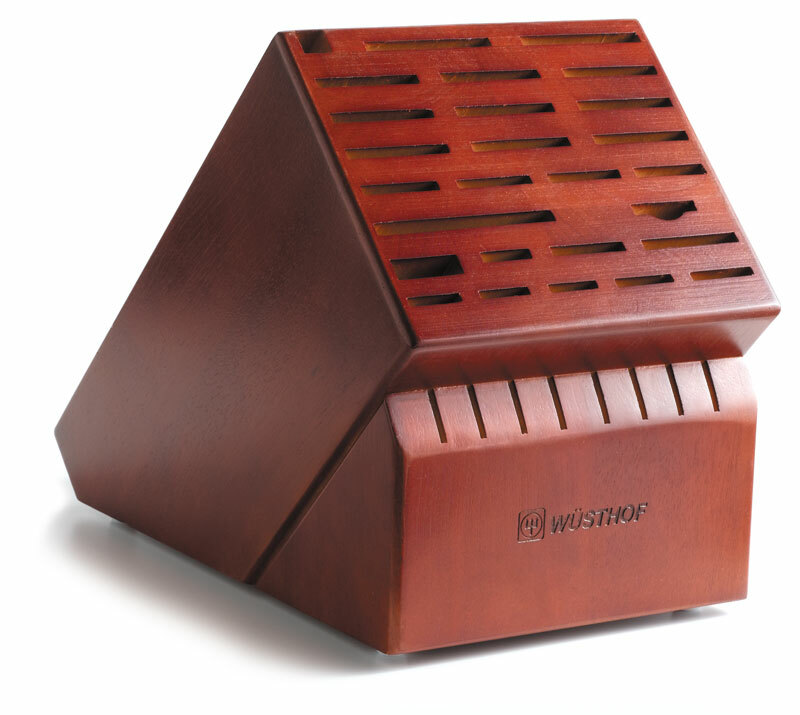 Wusthof and Henckels are by far the recognized leaders of the German style, while Shun and Miyabi carry the torch for the Asian style. This Wusthof Classic Ikon 8” Chef Knife is one of our favorite German Chef knives, which takes the classic forged triple-rivet look and turns up the style. It has a natural feeling handle and is made with nice, tough stainless steel. The edge might not be the longest lasting out there, but it is durable and easy to maintain. Some Chef knives come with a full bolster here at the heel of the knife, but the Ikon does not. The edge comes all the way which is going to ensure it can make full contact with your cutting board, especially after it has been resharpened a few times. 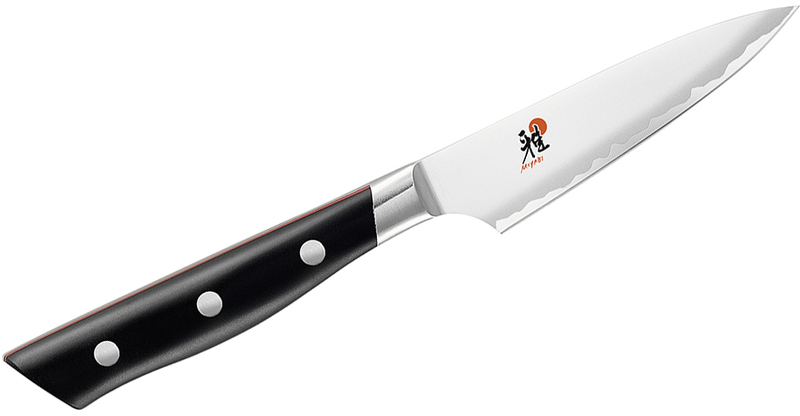 For a great example of a Santoku, we love the Shun Classic 7” Santoku. Like many Santoku-style knives, this blade features dimples above the edge which help sticky foods release more easily from the blade. It also has a stabilized Pakkawood handle which looks quite nice and will stand up well to moisture. The star of this knife, however, is the laminated blade, which features a high-performance VG-10 cutting core with Damascus cladding on the sides. The edge itself is sharpened to a narrower angle than the Wusthof for a noticeable improvement in slicing efficiency, but you will have to be a little more careful with the edge on this knife. While it will last longer, it won’t stand up to as much abuse as the Wusthof, such as working around bones or other hard foods. Of course, if you want to seriously wow with your knife set, you ought to check out the Bob Kramer EUROLine Series from Henckels. There are both Chef and Santoku patterns in this lineup as well as a full range of kitchen knives. While the price may be slightly higher, they have the beauty and performance to justify it. Hand shaped handles, a mosaic pin, and brass hardware mean it looks great, and time-tested 52100 carbon steel offers classic performance that few modern kitchen knives can match. You get a whole lot for your investment. The next knife you need after a Chef or Santoku is a good paring knife for smaller tasks, like peeling potatoes or trimming vegetables. The Wusthof Ikon and Shun Classic knives that match the other knives we just looked at are certainly good options, but one of our favorites is the Miyabi Evolution 3.5” Paring Knife. It is just the right size, very well balanced, and sports a very comfortable grip. It also looks great thanks to the blade finish and red liners on the handle. Boasting Japanese handmade craftsmanship with German engineering and fine-grained Swedish steel, this is truly a knife with worldwide pedigree. The next thing you will want is a good serrated bread knife. 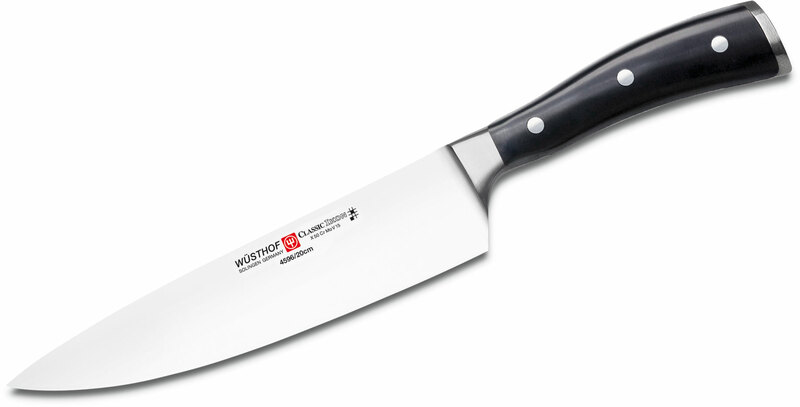 We like versions with a slight curve to the blade to allow excellent contact with a cutting board, like this Messermeister San Moritz Elite 9” bread knife. Good for more than just your favorite loaf, the serrated edge also makes it great for dealing with soft-skinned foods such as tomatoes, where the serrations will allow you to cut without having to put too much pressure on the food. These three types of knives will cover most of your bases in the home kitchen, but if you are looking to expand further, there are a few specialty blades that can really help you be prepared for anything. Buying larger cuts of meat can help you save money, but you’ll want the best tools to be able to break them down into manageable pieces. A good boning knife and a slicing and utility or butcher knife will be essential. Since a boning knife is a tool for getting down and dirty, we are okay with it not being as fancy as the rest of our set. The Victorinox Forschner Fibrox 6” Curved Boning Knife is great for breaking down whole chickens, navigating joints, and deboning large hunks of beef or pork. Its non-slip grip helps maintain a secure hold when dealing with slippery proteins and the stainless blade is both razor sharp and durable. The blade also pulls double duty and makes a decent fillet knife, meaning you can buy whole fish fresher and cheaper if you’re willing to do a little work yourself. Next up you’ll want something with a little more length for the larger cuts. While a German-style Chef knife can do the job, something with a thinner blade will generally be more precise and efficient. There are several styles of slicing and butcher knives that you can explore, but we prefer something that will not only help you cut up your meats as needed, but will also look good tableside when carving a turkey or roast. 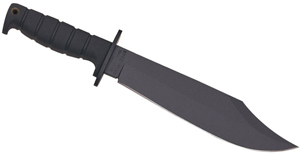 One great option is the Old Hickory 10” Carbon Steel Butcher Knife. This wood handled knife is an American classic. Steeped in history, it feels like an old friend when you use it. The 1095 carbon steel is easy to maintain and holds a fantastic edge, but make sure you clean it promptly after using it to avoid corrosion. 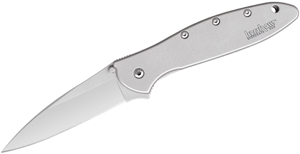 The best part about this knife is the price-to-performance ratio. The entire Old Hickory line is very affordable but can perform just as well as knives costing much more. 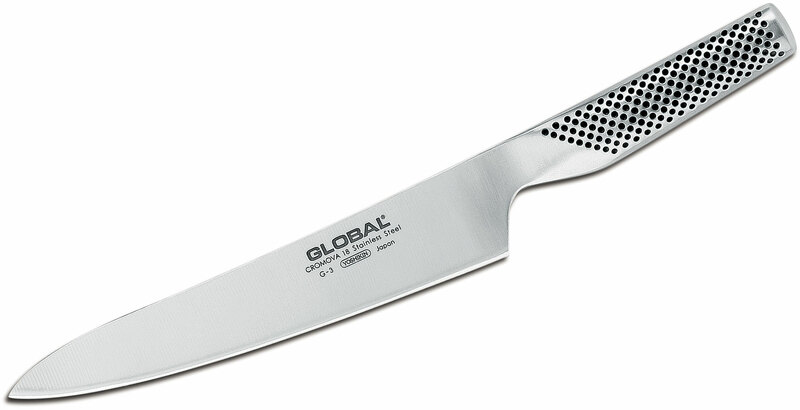 If you would rather not deal with carbon steel or the natural wood handles, or just want something with a more modern aesthetic, the Global G-3 Classic 8.25” Carving Knife has plenty of style and custom formulated stainless steel with a nice convex edge. 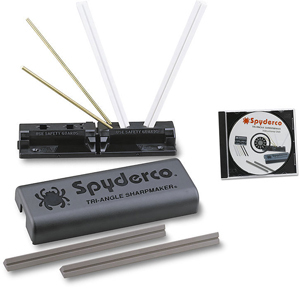 The integral steel handles are formed as a single piece with the blade, meaning there is nothing to break loose, wiggle, or swell, and the dimpled finish ensures it is easy to hold on to in use. And of course, if you’re buying your kitchen knives piecemeal, you’ll want to procure an easy way to store your knives without damaging them. Never throw your knives in a drawer. Instead, make sure to check out the wide selection of slotted and magnetic storage blocks and magnetic strips we have over at KnifeCenter.com. This is just the start of the rabbit hole you can go down when it comes to kitchen knives, but you can’t go wrong with the items we’ve featured here. Let us know in the comments which kitchen knife you can’t live without.